This week's challenge at iheartfaces is in honor of Father's Day, "Let's Hear it for the Boys." This picture is very special to me. 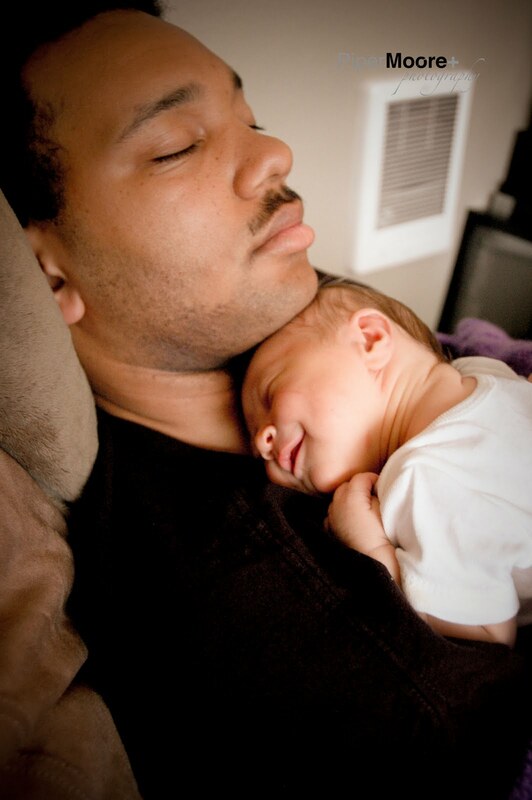 It is of my husband napping with our daughter, our first born, when she was 4 days old. We were both looking at this picture in amazement last night because that little tiny baby is now our curly blond afro-ed, insanely tall for her age, full of energy and life, verbal, soon to be 3 year old! Her birthday is on Wednesday and we can't believe our little baby is turning 3 years old! Happy Father's Day, love. Your daughter, your son, and whoever this is on the way have one awesome daddy. I am a blessed mama :). Awwww...love that you caught one of those little baby sleeping smiles! That is so sweet. Nice job!